Hannah Gavener is fourteen in the summer of 1991. In the magazines she reads, celebrities plan elaborate weddings; in Hannah’s own life, her parents’ marriage is crumbling. And somewhere in between these two extremes–just maybe–lie the answers to love’s most bewildering questions. But over the next decade and a half, as she moves from Philadelphia to Boston to Albuquerque, Hannah finds that the questions become more rather than less complicated: At what point can you no longer blame your adult failures on your messed-up childhood? Is settling for someone who’s not your soul mate an act of maturity or an admission of defeat? And if you move to another state for a guy who might not love you back, are you being plucky–or just pathetic? None of the relationships in Hannah’s life are without complications. There’s her father, whose stubbornness Hannah realizes she’s unfortunately inherited; her gorgeous cousin, Fig, whose misbehavior alternately intrigues and irritates Hannah; Henry, whom Hannah first falls for in college, while he’s dating Fig; and the boyfriends who love her more or less than she deserves, who adore her or break her heart. By the time she’s in her late twenties, Hannah has finally figured out what she wants most–but she doesn’t yet know whether she’ll find the courage to go after it. 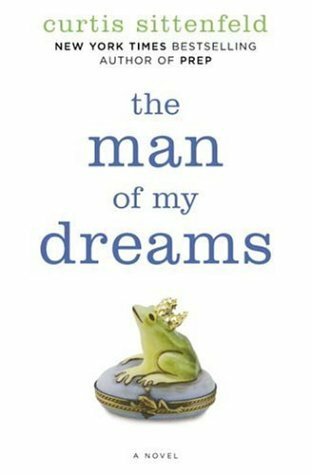 Full of honesty and humor, The Man of My Dreams is an unnervingly insightful and beautifully written examination of the outside forces and personal choices that make us who we are. For a moment I thought that Curtis Sittenfeld was going to give me what I wanted: a happy ending. No ambiguities and no doubts. Just happiness for our anxious protagonist Hannah: a shared apartment, evenings entangled on the couch in front of the television, Sunday morning brunches followed by Sunday afternoon antique shopping, an engagement, a wedding, a child—all with the man of her dreams. Thank god I was wrong. Because what I want is not what I need. I want a book to delight, to entertain, to promise me everything turns out okay. But I need a book to present questions and evade answers, to tell its story not in the shape of a line but a dodecahedron, to venture into the dark and never come out. In short, a book must deny me what I want. In The Man of My Dreams Hannah is no reader’s ideal narrator. A grown-up Lee Fiora from Sittenfeld’s Prep, Hannah is shy and uneasy, world-weary yet inexperienced, not unable but unwilling to escape what ails her. Sittenfeld’s narrators are hard to get to know and harder to appreciate. Timid girls, they all trick themselves into ignoring the depth of their loneliness and the intensity of their embarrassments. Normally she writes in the third person at the most uncomfortable distance—far enough away that the narrator’s thoughts and decisions remain elusive and irrational, but close enough that the narrator’s failings and ugliness reflect right back onto you. Yet despite how uncomfortable the narration is, Hannah is a fantastic protagonist. We’ve all already read the novels about girls like Hannah’s sister Allison, a thoroughly decent girl who marries a thoroughly decent man to form a thoroughly decent couple, and girls like her cousin Fig, the bombshell, the debauched girl who buzzes with confidence as she hooks up with one frat boy, and then another, and then another, and then another. But Hannah’s story is one less frequently told, either shoved away in a forgotten bookshelf corner or merely sidekicking in a story about the popular, wonderful girl who gets all the dates she wants. Hannah is a nasty girl, quiet on the outside but screaming on the inside. She screams for someone to care about her, to kiss her, to want her, to simply see her. But internal screams are silent; no man of her dreams will ever rescue her. What Hannah learns is to rescue herself. And fittingly, it’s not a lesson she wants to learn but a lesson she needs to learn. Americanah is an engrossing tale about culture, race, love, and transformation. Transformation is inevitable—the harsh world makes you bow before it, but can two Nigerian kids stiffen their spines to it? At the beginning of Americanah Obinze and Ifemelu are kids in love. They bounce through the world, shielded by their love for each other, not daunted by the unpredictability of their lives, but invincible in front of it: nothing can destroy them when they are together. They are young and naive, and Adichie writes them perfectly, expertly capturing their voices; I believed everything she told me. But in politically unstable Nigeria, not even love can quell the forces that separate the couple, with Ifemelu off to America to study and Obinze eventually off to England to work. The Atlantic barring them from each other, their indomitable love becomes domitable and both undergo a decade of metamorphosis. The bulk of the book focuses on what happens outside of Nigeria, the stably unstable idyll of their youth. Obinze, formerly a popular teen envied for his effortless success, must discover how to cope when the world fails him. Ifemelu discovers race. In Nigeria her black skin was just black, perhaps darker or lighter than a classmate’s, but black all the same. In America stepping into a certain neighborhood is a statement because of her skin. Ifemelu changes hairstyles—from braids to chemically relaxed locks to an Afro. Obinze changes names—from high school idol “The Zed” to illegal immigrant “Vinny Boy” to fully fledged “Obinze,” a wealthy Lagos landowner. They change partners—Ifemelu dates a white American and an African-American, mining each relationship for material to use in her blog on race in America as told by a foreigner. They change incessantly, growing up and out of their unformed youth and into selves that may or may not be their true selves. They change until one day they return to Lagos, a city that has changed in their absence too, leaving them behind when they believed it was they who had left Lagos behind. This epic tale—and it is truly epic if we take the Odyssey as our model: oceans are crossed, decades are breached—asks if anything can remain constant if the world just won’t stop changing. Can an aged and battered love still shine after years in the dark? Adichie answers this question, but the odyssey towards it is not simple. Americanah is about the pursuit of progress, but it is unclear if Obinze and Ifemulu’s expat progress is truly positive. The two change, change, and change so much in order to mold themselves to their new worlds that it takes years before they stop and wonder if there is the possibility of constancy. The answer doesn’t come easily for the two protagonists nor for the reader, but when it arrives, it satisfies. At twenty-nine Valancy had never been in love, and it seemed romance had passed her by. Living with her overbearing mother and meddlesome aunt, she found her only consolations in the ” forbidden” books of John Foster and her daydreams of the Blue Castle. Then a letter arrived from Dr. Trent, and Valancy decided to throw caution to the winds. For the first time in her life Valancy did and said exactly what she wanted. Soon she discovered a surprising new world, full of love and adventures far beyond her most secret dreams. It is remarkable that this book perfectly follows so many long-established Hollywood romantic comedy conventions, and yet it avoids cliché, surprising and delighting the reader despite its tired plot. The Blue Castle is built on several overused tropes. Valancy, the homely protagonist who has been living as an old maid since girlhood, discovers that she will die within a year. And so the book begins with one of those well-known carpe diem sequences where a dying character gives her finger to the world and learns, too late, how to live life to the fullest, normally by swimming with dolphins or going skydiving, and of course, by falling in true real deep love for the first time ever. Yet here, Montgomery’s use of this trope does not irritate, mostly because despite Valancy’s profound change in attitude, she remains the same person. Valancy accepts her morbid news and uses it as a way to discover what she has wanted and forbidden herself from having for 29 years. She doesn’t create a massive bucket list and cross off items daily—she simply learns to say yes to what she wants and no to what she doesn’t want. Another romantic comedy trope: the ridiculous family. Valancy is part of the Stirling family, a bourgeois Canadian clan that reigns in small town Ontario but considers itself to be equal to the royal family at Versailles. There are around ten relatives that incessantly insult, pity, and, worst, simply ignore Valancy, and each is wonderfully sketched. One of the novel’s most fantastic scenes takes place at a family dinner soon after Valancy’s diagnosis. She finally tells each family member exactly what she thinks of them, and each relative melts into a babbling state, unable to recognize the newly liberated niece/daughter/granddaughter/cousin who sees through them and their antics. The final romantic trope is also one of my most hated. In The Blue Castle we have a case of he-loves-her-but-shhh-only-she-doesn’t-know-it syndrome. Because of the relationship’s unique circumstances, I cannot reject this trope as I normally do. It seems believable that a girl who has been told for decades that she is ugly and unloveable would struggle to accept that she is indeed loved. And without this trope, we wouldn’t get to read a wonderful scene where the lovers finally acknowledge and confess the true depth of their love. 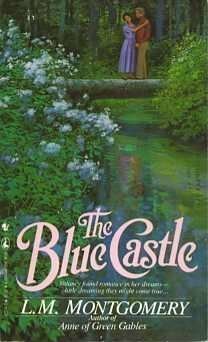 The Blue Castle is trite, to be sure, but it’s trite in such an utterly charming way that I can’t bring myself to fault it. It certainly helps that L.M. Montgomery is a wonderful writer with an incredible capacity to describe the beauty of the Canadian wilderness. Like all of Montgomery’s work, this is a book that reminds you how amazing it is to be alive, to be able to enjoy the world with friends by your side. There may be clichés and a serious case of deus ex machina, but no matter, you’ll be too grateful that you can lie in the grass, gaze at the stars, hear the songs of the birds, and fall in love at any moment to even care. The thing about reading a whole book that purports, in its very blurb, to be a massive lie is that when you finish the book you feel unsatisfied because nearly everything you just read was a massive lie. 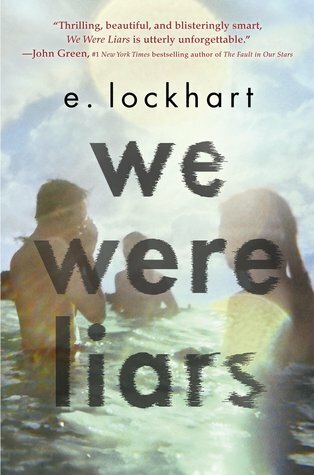 I don’t have much to say about We Were Liars partly because the book summary instructs me not to reveal the super amazing surprising awesome plot twist (though I will reveal: the twist is not that super nor that amazing nor that surprising nor that awesome) and partly because two thirds of the book feels irrelevant after reading said twist. Apologies for vagueness, but basically you spend most of the book thinking one thing is true only to realize it isn’t true, which left me feeling quite hollow. In essence, pages upon pages of character growth and interaction are false and therefore rather useless. For a story that seemingly aims to be gritty—with its wtf ending, its family dysfunction, its depressed and traumatized narrator—it didn’t read realistically enough. Nothing about We Were Liarsfeels like something real people with real, beating, breakable hearts would experience. The book follows the Sinclairs, a blueblood family with a private island near Martha’s Vineyard where most of the story takes place. But the Sinclairs rang false for me. They didn’t behave like real East coast elite do, instead they were coarse renderings of how we imagine such people behave. It could be Lockhart’s inventive prose style that destroys any sense of reality. She writes in short, choppy, almost verse-like sentences with nonsensical descriptions. One character, for instance, is “ambition and strong coffee,” which…I don’t know what that means? I don’t even know what it’s trying and failing to mean. Lockhart also employs faux fairytales to depict the downfall of the Sinclair family, which are interesting but overly obvious. They could have been wonderful metaphorical asides open to interpretation, but instead they were twee retellings of the 10 previous chapters’ intrigue where the narrator’s mother, aunts, and grandfather are played by a king and princesses. Yes, I enjoyed We Were Liars. Its blurb-writer is a mad genius because I would read anything that warns, “if anyone asks you how it ends, just LIE.” But I found it heavy on lies and low on truths—real meaningful life truths, you know, the stuff that really matters. Diapers, tantrums, and French bureaucracy – the crazy life of an American Mom in Paris. Party Girl is back, this time as the sassy mommy of two kids trying to navigate the beautiful, yet infuriating, city of Paris. How does she steer a stroller around piles of dog poop? How does she find time for French administration between breastfeeding and business meetings? And can she ever lose the baby weight with croissants staring her in the face from every street corner? Answers to these pressing questions – and many more – are in this hilarious sequel. Laugh, cry, and wipe up drool right alongside Vicki as she and her ever-patient French husband raise two children in the City of Light. When writing a memoir, the most important thing is voice. Everyone on this planet has terrific stories to tell, but most of us just can’t find the right words to tell them. So when I read a memoir, I want to hear the author’s voice in my ear and get a sense of who she is as a person. I’ve now read both of Vicki Lesage’s Parisian memoirs—Confessions of a Paris Party Girl and Confessions of a Paris Potty Trainer–and fortunately, she does not lack for voice. Both of these books are charming reads. Each chapter focuses on a single frustrating or ridiculous or amazing anecdote from Vicki’s French life. The stories are interesting and recounted in the perfect way: edited properly for ideal pacing but just unpolished enough that we can hear the person telling the story. Reading this book really does feel like listening to a friend detail her trials and tribulations over dinner and drinks. Vicki is also funny, which is lucky for her, because you need a good sense of humor to survive French bureaucracy. In this book, she starts adding to her Franco-American family with the arrival of two babies. From a cultural perspective, it’s fascinating. You’ll learn all sorts of quirky medical differences between the two countries. For example, American infant birth weight is simply calculated differently—a baby who is considered average size stateside is seen as above average weight in France. It found it incredible that seemingly objective medical markers could use different formulas depending on the country. 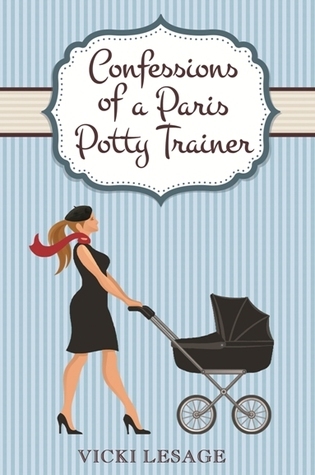 Confessions of a Paris Potty Trainer is a sweet book that largely succeeds on the strength of Vicki’s voice. Her ability to laugh at herself and her willingness to call out French and Americans alike when they’re wrong (there is a scene on the Metro where she absolutely destroys a yuppie connard that will make you applaud) makes her the perfect companion for a lovely Parisian adventure. In the twilight of a childhood full of wonder, Billy Argo, boy detective, is brokenhearted to find that his younger sister and crime-solving partner, Caroline, has committed suicide. 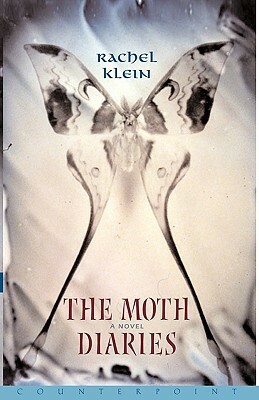 Ten years later, Billy, age thirty, returns from an extended stay at St Vitus’ Hospital for the Mentally Ill to discover a world full of unimaginable strangeness: office buildings vanish without reason, small animals turn up without their heads, and cruel villains ride city buses to complete their evil schemes. Lost within this unwelcoming place, Billy finds the companionship of two lonely children, Effie and Gus Mumford – one a science fair genius, the other a charming, silent bully. With a nearly forgotten bravery, Billy confronts the monotony of his job in telephone sales, the awkward beauty of a desperate pickpocket named Penny Maple, and the seemingly impossible solution to the mystery of his sister’s death. Along the path laden with hidden clues and codes that dare to be deciphered, the boy detective may learn the greatest secret of all: the necessity of the unknown. Growing up is a shame. Not only because we lose the halcyon days of childhood, where we know absolutely nothing about the world and yet everything makes perfect sense, but also because as adults, we become too self-aware. 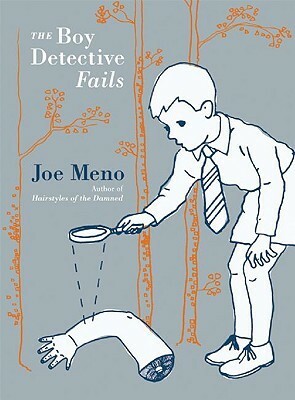 In The Boy Detective Fails, Joe Meno’s adulthood shows, because everything about this book is too self-conscious. Meno knew exactly what he wanted it to be and exactly what he wanted to say, and it shows. It shows quite horribly. Now I’m not against writers endeavoring to make a point in their work. What I’m against are writers who make their points shoddily and obviously. This novel begins with a clever idea: what happens when child detectives in the style of Nancy Drew and Encyclopedia Brown grow up? Meno’s boy detective becomes terribly depressed, unable to accept that we can’t, and shouldn’t, solve every mystery, unable to realize that getting older and dying are things we must take as they come. It’s an interesting idea presented with an interesting plot. But I could never lose myself in the ideas because I was too distracted by the book’s tweeness. Meno recounts his tale inventively: there is a decoder included in the book for secret messages, there are multiple mini-books with separate chapters, there are entire chapters that are “lost.” Its creative narrative is indeed toocreative. It’s disjointed to the point where I was not struck by any one thing, so everything rang hollow. The beginning is very promising. The characters are all children, and Meno explains the genesis of the boy detective and his sidekicks’ crime fighting days. His description of the magic of childhood is feverish with the memories of long summer days full of carefree play. Once the boy detective ages, however, the magic disappears. I found the story repetitive and dull when they reach adulthood. Not so ironically, the shift in tone is accurate to the shift in maturity, but it doesn’t mean it’s fun to read about. I wanted to like this book, but it was like reading a new genre: Hipster Lit. Overly self-conscious and nauseatingly precious, The Boy Detective Fails fails.